Monday October 27th – Washington, PA: an informative, practical seminar detailing the latest threats to religious freedom and rights of conscience, how you can best protect your business, church or ministry and defend the religious freedom of others. VIDEO (80 seconds) – What matters most to you? Check out this short video – encouraging your involvement this election and highlighting what every voter should see before November 4th – the most comprehensive Pennsylvania statewide voter’s guide: www.PAFamilyVoter.com. 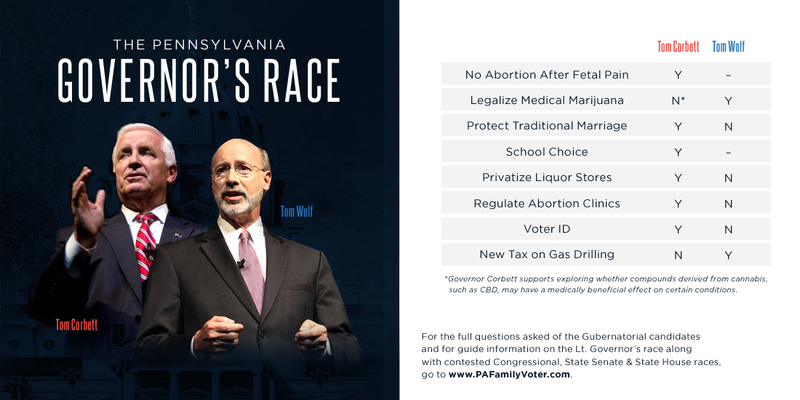 PaFamilyVoter.com – Home of the most comprehensive Pennsylvania statewide voters guide. Hopefully you have already marked your calendar on Tuesday November 4th as Election Day. It appears even pro-life laws are bigger in Texas.